Securis is an IT asset destruction and electronics recycling franchise that helps companies address a major and risky issue: how to safely discard out of date computers, hard drives and electronics. Securis offers secure, on-site destruction of hard drives, as well as trackable and safe recycling of computer equipment, guaranteeing that it does not end up illegally in landfills. By offering these services, Securis eliminates the liabilities companies face from data breaches that stem from improper electronics disposal. Securis is seeking self-starting, sales-oriented Owner/Operators in markets including Pittsburgh/Western Pennsylvania, Philadelphia/South New Jersey, Northern New Jersey, Washington D.C., and Raleigh-Durham, Charlotte, Greensboro and Asheville, North Carolina. Startup costs range from $86,100 to $305,950, and potential franchisees need liquid assets of $100,000 and a net worth of $500,000 to get started. 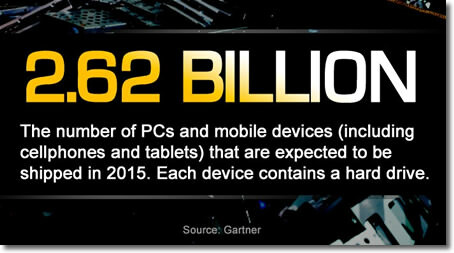 IT asset destruction is a rapidly growing industry worth billions. In 2015, technology companies will ship more than 2.6 billion devices containing hard drives, according to Gartner, the IT research and advisory company. They will be inside desktop computers, laptops, servers, phones, USB thumb drives, printers, copiers and other equipment. Within three or four years, almost all of those items will be obsolete and will be replaced. When that happens, what happens to the old devices? That’s a question that keeps IT managers up at night, because old hard drives contain sensitive data, and simply reformatting a drive is not enough. A savvy hacker can easily recover “erased” data. The easiest answer is: Who isn’t your customer? Hard drives are ubiquitous, and at some point all of them need to be disposed of in a regulated and traceable manner. The largest vertical markets for Securis’ services include data center operators, financial and banking firms, health care and medical facilities, government agencies and government contractors. The services offered by Securis are needed by every business in the world — but we’re not trying to serve every business in the world just yet. One of the keys to our business model is our hub-and-spoke system, which allows franchisees to handle hard drive destruction for local customers and then send the materials they gather to our central processing hub in Northern Virginia. 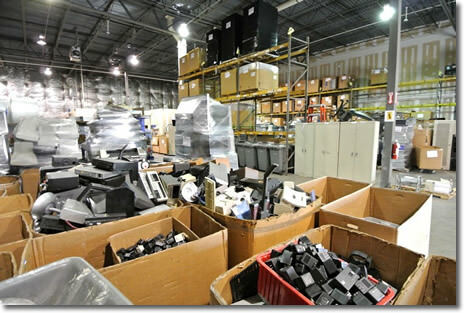 Transportation is one of the biggest expenses in the IT asset destruction and e-waste recycling field. Our competitors are corporations that generally try to serve customers nationwide from just one or two processing facilities. That forces them to send trucks cross-country to serve customers — an extremely expensive proposition that only makes financial sense if the customer is very, very large. With help from the Securis processing facility, franchisees are able to handle very, very large customers — and their proximity to those customers slashes transportation costs and allows them to profitably serve smaller customers, too. This approach radically expands the market for data destruction services, because it becomes much more cost-effective. Securis routinely collects the equipment franchisees gather and takes it back to our processing facility for sorting, then resale or recycling. Everybody who has looked into franchising knows that franchisees send money to the corporate headquarters team in the form of royalties — but have you ever heard of a franchise that sends money to its franchisees? You have now. Of course, a Securis franchisee gets a significant amount of money when he or she performs data destruction services for their clients. Clients are happy to pay for on-site and offsite data elimination, especially when it is carefully documented with a sophisticated tracking system. But once you’ve shredded hard drives and have a mountain of old computer enclosures, what do you do with them? The headquarters team at Securis helps you make money by processing all of those items and either refurbishing and reselling them or breaking them into components and marketing those components on the international scrap market, then splitting the proceeds with you 50-50. 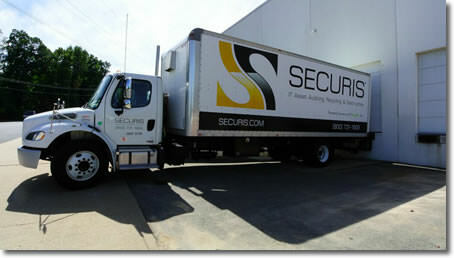 Securis is currently accepting inquiries from the following states: Virginia, Pennsylvania, New York, New Jersey, North Carolina, Connecticut.